Scientists have found a new clue that Parkinson's disease may get its start not in the brain but in the gut—maybe in the appendix. People who had their appendix removed early in life had a lower risk of getting the tremor-inducing brain disease decades later, researchers reported Wednesday. Why? A peek at surgically removed appendix tissue shows this tiny organ, often considered useless, seems to be a storage depot for an abnormal protein—one that, if it somehow makes its way into the brain, becomes a hallmark of Parkinson's. The big surprise, according to studies published in the journal Science Translational Medicine: Lots of people may harbor clumps of that worrisome protein in their appendix—young and old, people with healthy brains and those with Parkinson's. But don't look for a surgeon just yet. "We're not saying to go out and get an appendectomy," stressed Viviane Labrie of Michigan's Van Andel Research Institute, a neuroscientist and geneticist who led the research team. After all, there are plenty of people who have no appendix yet still develop Parkinson's. 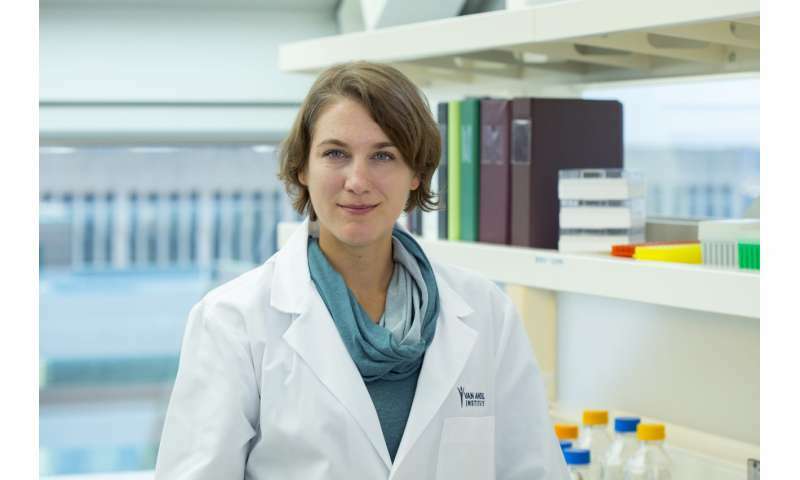 And plenty of others harbor the culprit protein but never get sick, according to her research. Doctors and patients have long known there's some connection between the gastrointestinal tract and Parkinson's. Constipation and other GI troubles are very common years before patients experience tremors and movement difficulty that lead to a Parkinson's diagnosis. Wednesday's research promises to re-energize work to find out why, and learn who's really at risk. "This is a great piece of the puzzle. It's a fundamental clue," said Dr. Allison Willis, a Parkinson's specialist at the University of Pennsylvania who wasn't involved in the new studies but says her patients regularly ask about the gut link. Parkinson's Foundation chief scientific officer James Beck, who also wasn't involved, agreed that "there's a lot of tantalizing potential connections." He noted that despite its reputation, the appendix appears to play a role in immunity that may influence gut inflammation. The type of bacteria that live in the gut also may affect Parkinson's. But if it really is common to harbor that Parkinson's-linked protein, "what we don't know is what starts it, what gets this whole ball rolling," Beck said. For years, scientists have hypothesized about what might cause the gut-Parkinson's connection. One main theory: Maybe bad "alpha-synuclein" protein can travel from nerve fibers in the GI tract up the vagus nerve, which connects the body's major organs to the brain. Abnormal alpha-synuclein is toxic to brain cells involved with movement. There have been prior clues. People who decades ago had the vagus nerve cut as part of a now-abandoned therapy had a reduced risk of Parkinson's. Some smaller studies have suggested appendectomies, too, might be protective—but the results were conflicting. Labrie's team set out to find stronger evidence. First, the researchers analyzed Sweden's huge national health database, examining medical records of nearly 1.7 million people tracked since 1964. The risk of developing Parkinson's was 19 percent lower among those who had their appendix surgically removed decades earlier. One puzzling caveat: People living in rural areas appeared to get the benefit. Labrie said it's possible that the appendix plays a role in environmental risk factors for Parkinson's, such as pesticide exposure. Further analysis suggested people who developed Parkinson's despite an early-in-life appendectomy tended to have symptoms appear a few years later than similarly aged patients. That kind of study doesn't prove that removing the appendix is what reduces the risk, cautioned Dr. Andrew Feigin, executive director of the Parkinson's institute at NYU Langone Health, who wasn't involved in Wednesday's research. So next, Labrie's team examined appendix tissue from 48 Parkinson's-free people. In 46 of them, the appendix harbored the abnormal Parkinson's-linked protein. So did some Parkinson's patients. Whether the appendix was inflamed or not also didn't matter. 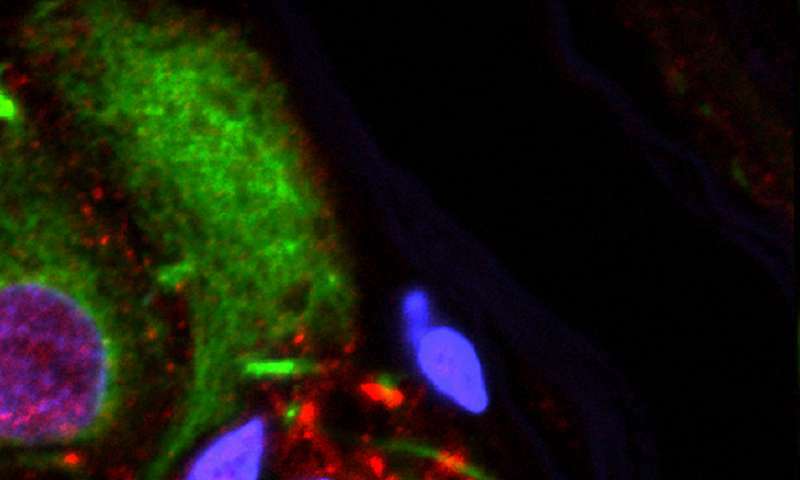 That's a crucial finding because it means merely harboring the protein in the gut isn't enough to trigger Parkinson's, Labrie said. There has to be another step that makes it dangerous only for certain people. "The difference we think is how you manage this pathology," she said—how the body handles the buildup. Her team plans additional studies to try to tell. The reservoir finding is compelling, Feigin said, but another key question is if the abnormal protein also collects in healthy people's intestines. And Penn's Willis adds another caution: There are other unrelated risks for Parkinson's disease, such as suffering a traumatic brain injury. "This could be one of many avenues that lead to Parkinson's disease, but it's a very exciting one," she said. Appendix identified as a potential starting point for Parkinson's disease! IN A SMALL FRACTION OF CASES. Only if you expand the dimensions involved. Abstract paraphrased: "Pathologic α-synuclein (that which is bound more strongly together with PAR) activates PARP-1 which produces more PAR and drives cell death via parthanatos. In a feed-forward loop, PAR converted pathologic α-synuclein to a more toxic strain. PARP inhibitors or genetic deletion of PARP-1 prevented pathologic α-synuclein toxicity." Three anti-cancer PARP inhibitor drugs stopped this process and so may be useful in combatting PD: Veliparib (experimental), Rucaparib and Atalazoparib (both available from single suppliers). https://scienceof.../niacin/ A particularly interesting article. https://www.ncbi..../8797457 1996 Low beta-carotene and ascorbic acid. Low niacin is especially significant.